Guy Mezger is the managing partner and holistic health practitioner at Optimal Health Specialists. Guy is PhD in Holistic Health and is a certified Holistic Health Pracitioner. Guy is heavily involved in both, patient optimizations and clinical research. In addition to these studies, he has been working with renowned physicians such as Dr. John Fitzgerald for naturopathic blood analysis and supplementation, Dr. Peter Goldman for holistic physical therapy, and Dr. Kevin Shelton for bio-identical hormone balancing. Mezger has been working in the fields of health, fitness, physical performance and marital arts for 25 years. He has worked with children, adults, athletes (both professional and amateur), civil and federal law enforcement agencies as well as various Special Forces units of the United States military. Before taking on the role of a full-time health practitioner and instructor, Mezger was a professional combat athlete of international renown. Winning 6 world titles in 5 separate combat sports, Mezger is most recognized for his accomplishments in Mixed Martial Arts, winning both the UFC and King of Pancrase titles. Dr. Kevin Shelton is the senior partner and Chief Medical Officer for Optimal Health Specialist. His focus and area of expertise is in the field of HRT or Hormone Replacement Therapy. 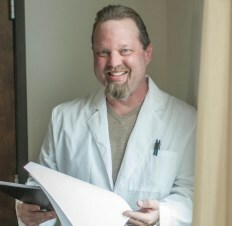 Dr. Shelton received his degree and Board certification in the field of Family Medicine in 2002 from The University of Oklahoma Health Sciences Center. He was in private practice in Oklahoma from 2002-2008, where he was actively involved in the field of healthcare improvement. Dr. Shelton served as President of several medical organizations, and regularly lobbied for TORT reform in Oklahoma prior to moving to Celina, Texas in 2008. He and his wife Stephanie (RNP) currently have their private practice there. 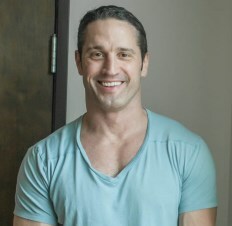 Throughout his time in practice, Dr. Shelton has always practiced in the field of HRT, helping both men and women to regulate their hormones, improving both physical and mental well-being. During his greater than 10 years in practice, he has treated over three thousand patients with bio-identical therapies and continues to grow as both a respected and recognized name in this rapidly advancing field. As the result, Dr. Shelton has become one of the leading go-to experts in the field, and enjoys a long-standing and highly respected reputation among clients and peers.